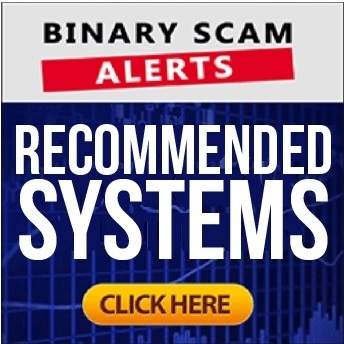 Binary Scam Alerts » Forex Scam Reviews » Timothy Sykes Trading Academy Review, Fraudulent Forex SCAM Exposed! Welcome to our Timothy Sykes Trading Academy Review and SCAM Investigation. Today, we have a really unique review to share with our members and subscribers. It has recently come to our attention that an extremely unethical affiliate network has decided to latch on to the reputation of Mr. Timothy Sykes, a recognized Stock Trading guru and self-made millionaire in order to promote filthy scams. This is why when we saw the Timothy Sykes Trading Academy SCAM we immediately know Timothy had nothing to do with it, and we actually messaged him about this and asked him this question: “We are doing an expose about scammers using your name to promote fake Forex brokers and get commissions when you lose your money. We will issue an official review about this, do you have any comment on this?” He immediately replied and said “I hate all impostors and scammers galore, I hope you get them and let me know as I will punish them to the fullest extent of the law as they deserve life-altering prison sentences, Tim”. Needless to say we see eye-to-eye on this matter and will work with Mr. Sykes to flush out these scam artists, expose their dirty little operation, and BLACKLIST their thieving app. It’s worth pointing out that we are familiar with the software which powers this fake signals app. In fact, this software is a turnkey solution for affiliate marketers who want to promote dirty schemes and don’t really mind what happens with customers after they refer them. We will provide proof and evidence of this as we progress with our detailed Timothy Sykes Trading Academy Review, and show you exactly how this worthless system works and who are the real people orchestrating this elaborate scam. Here is the sales page and registration area for the Timothy Sykes Trading Academy scam software. You can clearly see that it says “Education is Making People Rich”. This is a half-truth and a perfect example of misleading or deceptive advertising. Now here is the interesting part. A few days ago we exposed a scam dubiously named the BTC News Trader. At the time, our account was linked to a Forex broker named UFX, which is a non regulated Forex and CFD Broker. This time, our account was integrated with a broker named Royal CFDs, which is a is a non regulated Forex and Cryptocurrency broker. Their website says that they are owned and managed by Digital Worldwide OU, which has a registered address in Tallinn City, Estonia. As the image above illustrates, Royal CFD’s is a broker which integrates with this software and in reality the entity which takes your money (steals it is a more precise term). The money is then split between the promoters and the brokers in what is commonly referred to as a revenue or profit share scheme, and that is how the scam works. And of course, you can’t have a proper scam without some fake testimonials. Here we have a case where “John F.” talks about standing up for yourself taking a risk in order to succeed. In reality John’s real name is Monty Don, and Monty hosts gardening shows on Television. We can guarantee with an accuracy level of 100% that Monty is clueless about online trading and is completely oblivious to the fact that his face is being used to promote Forex scams. Timothy Sykes Trading Academy Review – Turn £250 into £1,000 in 24 Hours? The Timothy Sykes Trading Academy SCAM is basically a shell and non-existent software which is designed to do one thing only. Its sole purpose is to get you signed up and depositing with a broker so that the promoters can get paid referral fees. We have the classic 3 steps about completing registration, funding the account, and starting to make profits. In reality there is NO trading academy, and members don’t sit around at home and generate passive income by using their laptop. It’s true that Timothy Sykes was featured on Forbes, as well as other leading financial news sites. But this fact is only used to hide and conceal the truth, which should be very clear at this point to anyone reading our review. Timothy is a recognized Stock Trading Guru and full time day trader. He has been interviewed by leading journalists from the creme of the crop of the financial news industry. Were talking about Forbes, Huffington Post, CNBC, and Fox News. Unlike all the other scams we exposed, Tim is not only a real person, he is actually a successful Forex trader. We added his image above so you can actually see his interview on Fox Business news. Is the Timothy Sykes Trading Academy Free? No, it is not. It will cost you at least $250 to join this crappy program, and that money will be charged to your credit card by thieving brokers (in our case it is Royal CFDs). Is Timothy Sykes Trading Academy SCAM or Legit? It is 100% pure scam and we have proven this to be a fact. Even Tim has said it himself and if you want to see his email we can forward it to you. The ones we are warning you about are Binary Robot 365 and Bitcoin Code. If you are searching for a real alternative and a legitimate trading software, then we invite you to check out our recommended section. We have a short list of Forex EA’s, Crypto Robots, and signals systems which have been tested and proven to generate profits consistently.